Antiquarian booksellers Wilfrid de Freitas and Susan Ravdin are in the Atwater Library’s reading room to give an expert opinion on the value of your special books. *FEE $2 per book for Atwater Library members and $3 per book for others. All proceeds will be used for Library improvements. The Atwater Library’s 2013 Fall Book Sale takes place in the main-floor reading room on Friday, October 18 from 6:00 to 8:00 pm and Saturday, October 19 from 10:00 am to 4:00 pm. On offer will be a great selection of art books, biographies, books on history, classic literature, best-sellers, and gift books, including special and rare collectables — all at bargain prices! This year’s summer outdoor event takes place on Wednesday, July 17 from 10:00 am until 4:00 pm on our beautiful grounds. We’ll offer a great array of summertime reading at super bargain prices and also tasty barbecued hotdogs. *FEE $2 per book for Atwater Library members and $3 per book for others. All proceeds will go towards Library improvements. 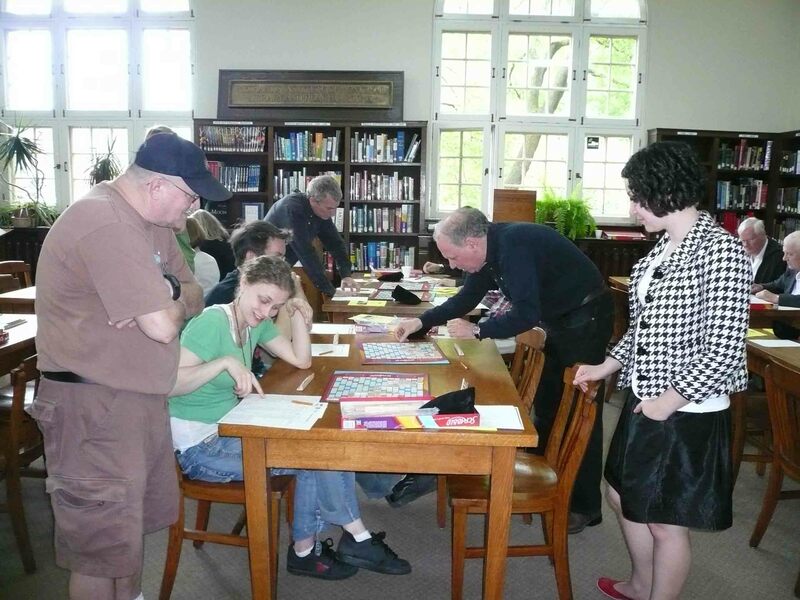 On Saturday, April 20 from 12:45 to 4:00 pm Scrabble enthusiasts are invited to the Library’s Reading Room to watch world champions David Boys and Joel Wapnick in action and to have a chance to match wits with them. There’ll be two games. In the first, players will be able to pay $5 to have a champion play their turn. The second will include opportunities to be one of several simultaneous challengers of a champion. Prizes will be awarded for skill and luck — for the highest game score, highest word score, highest score against a champion … and lucky chair! There’ll also be a special prize for the most money raised for the Atwater Library. The registration fee is $50 minimum ($20 for children). Pledge sheets are available online and at the Library’s circulation desk. You’re encouraged to get contributions from your relatives and friends. All proceeds will support Atwater Library educational and cultural programs, and we’ll issue tax receipts for donations of $15 and more. For more information, contact Aude McDermott at amcdermott@atwaterlibrary.ca or 514-935-7344 ext’n 204. 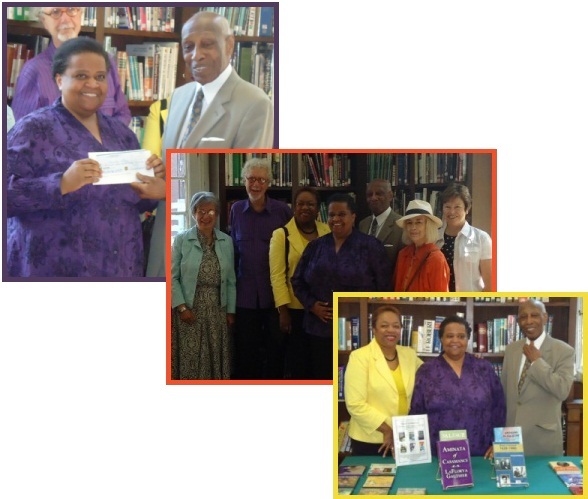 The Atwater Library’s Black Collection got a big boost on July 27, 2012, when Dr. Dorothy Williams, Montreal Black community historian, renowned author and local archivist, made a donation of $1,370 from funds raised at a reception following the recent premiere screening of a documentary film called Harlem USA, and from funds given by Louise Beaugrand-Champagne. 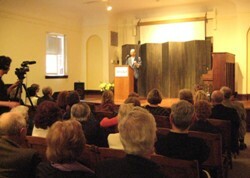 Richard Lord, Honorary Life Member of the Atwater Library and former Board member, accepted the gift for the Library at a ceremony in the Reading Room attended by Gemma Raeburn, Black community leader, Susan McGuire, former Executive Director of the Library who started the Black Collection in 2005, and other Library supporters and staff. The Black Collection now comprises almost 500 books and movies about Black history and culture, and/or works by Black authors and filmmakers. To see the selection, go to our online catalogue, choose “Anywhere” and enter “Black Collection” (with quotation marks). 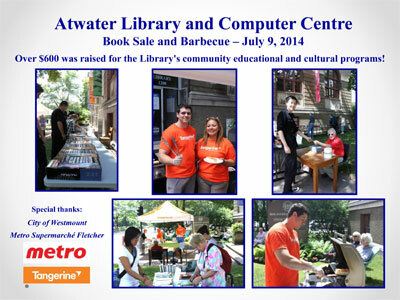 Book Sale and BBQ Raises Over $745 for the Library! 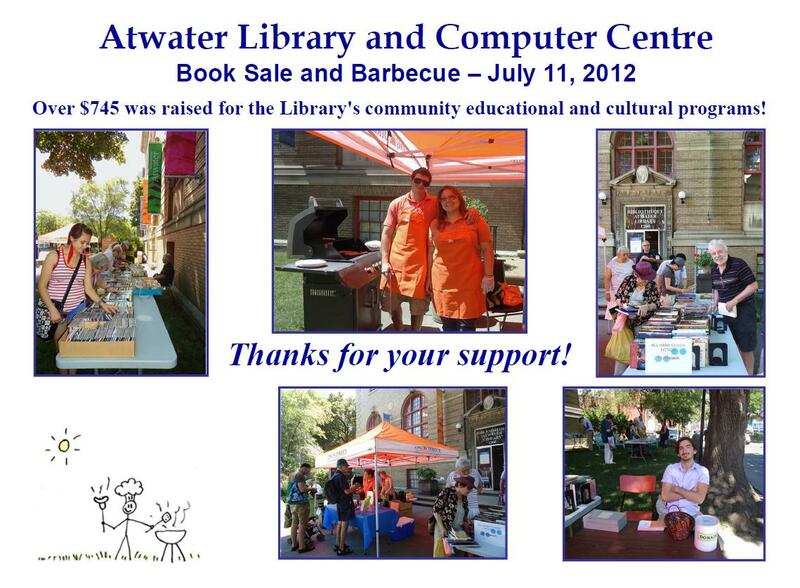 On May 3 and 4, 2012 Trafalgar School for Girls held a book sale in support of the Atwater Library, raising over $350. The Library will use these funds for our Digital Literacy Project through which we partner with community groups and schools to get participants using creative digital technologies to express themselves and build their communities. Last year the Library worked with Trafalgar School on two Gender and Mass Media workshops and we’re looking forward to more collaboration this fall. A big THANK YOU to Trafalgar School for their support! *FEE $2 per book for Atwater Library members and $3 per book for others. All proceeds are used for Library improvements. an. Tax receipts for donations of $15 and more. 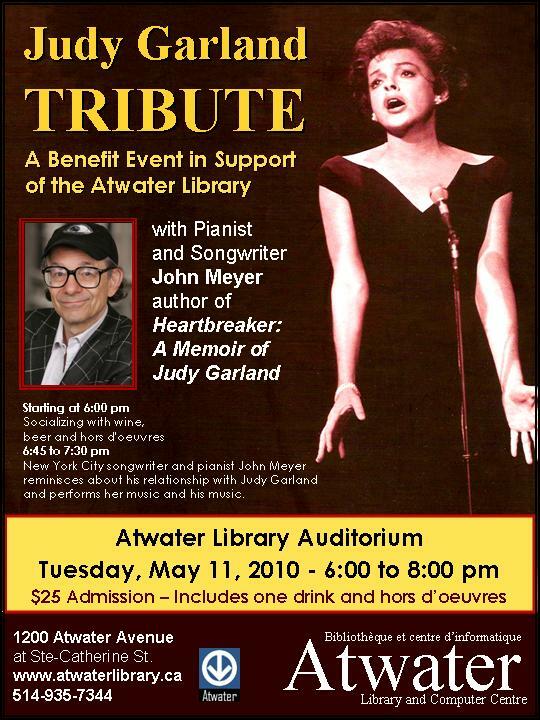 All proceeds will go to the Atwater Library’s community educational and cultural programs. 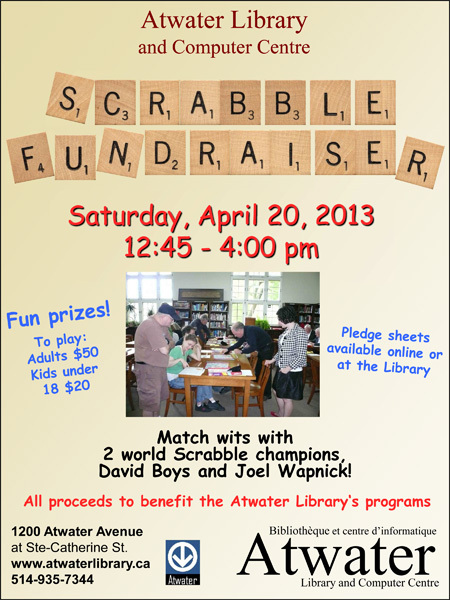 Atwater Library Scrabble FUNdraiser was set for the afternoon of Saturday, April 2 with world champions Joel Wapnick and David Boys. Here’s a picture of the two champions in action at the 2009 event (standing and wearing black). *Admission was “pay what you can”. Two Canadian short films by Erin Weisgerber were shown first and the screening of The General was over at 8:30. Refreshments were available. All proceeds went to the Atwater Library’s community educational and cultural programs. Tax receipts for donations of $15 and more.